After being part of the financial sector during the 2008 global crisis, Vikram Limaye is not new in handling crisis and undertook the most challenging project of his career to take the top job at the National Stock Exchange (NSE). The NSE is one of the leading stock exchanges in India and 11th largest stock exchange in the world by market capitalization. 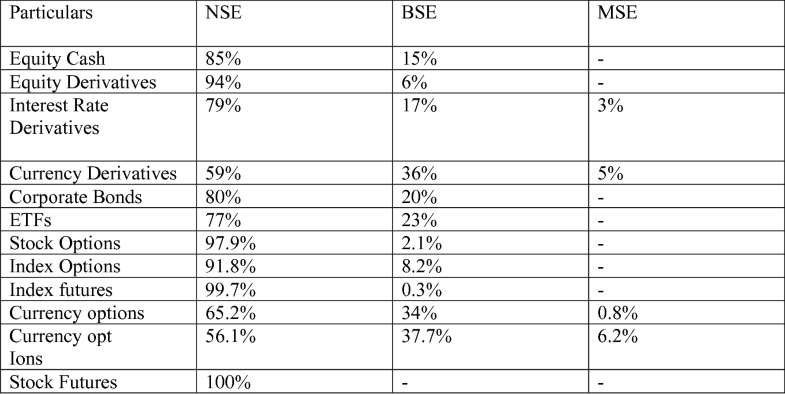 NSE was founded in 1992 as a demutualized electronic exchange and is classified as the largest stock exchange in India in terms of daily sales, total sales, and average equity on the basis of annual reports by SEBI. Limaye took the position of CEO and MD Exchange in July 2017 when his predecessor Chitra Ramakrishna left the organization a year before her term was to be completed, and Limaye became the first person to head the exchange from outside the founding party. 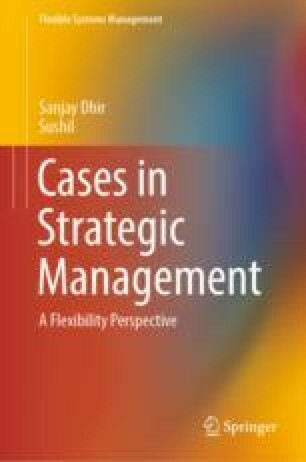 The online version of this chapter ( https://doi.org/10.1007/978-981-13-7064-9_10) contains supplementary material, which is available to authorized users. 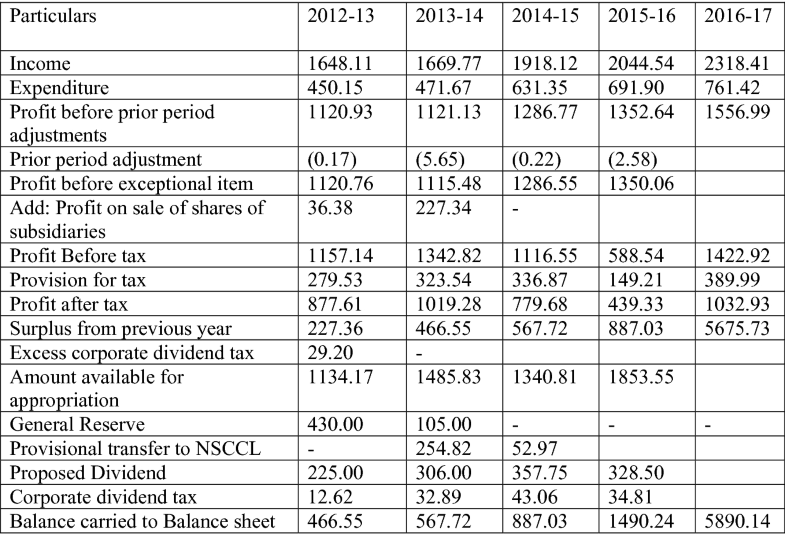 NSE financial summary 2012–2017 (Rs. 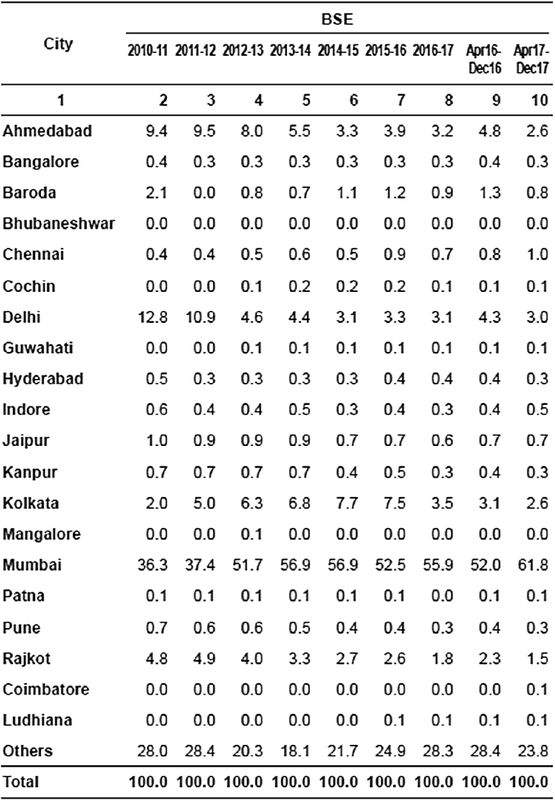 in crore). Selected financial data on National Stock Exchange of India. 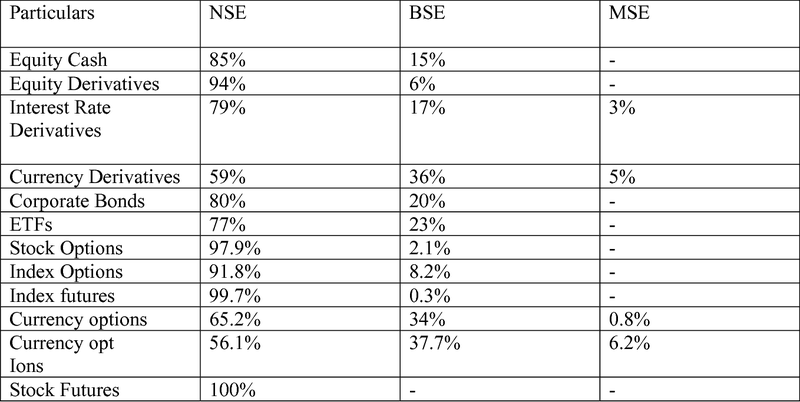 Comparative study of top 3 Indian stock exchanges in FY16. 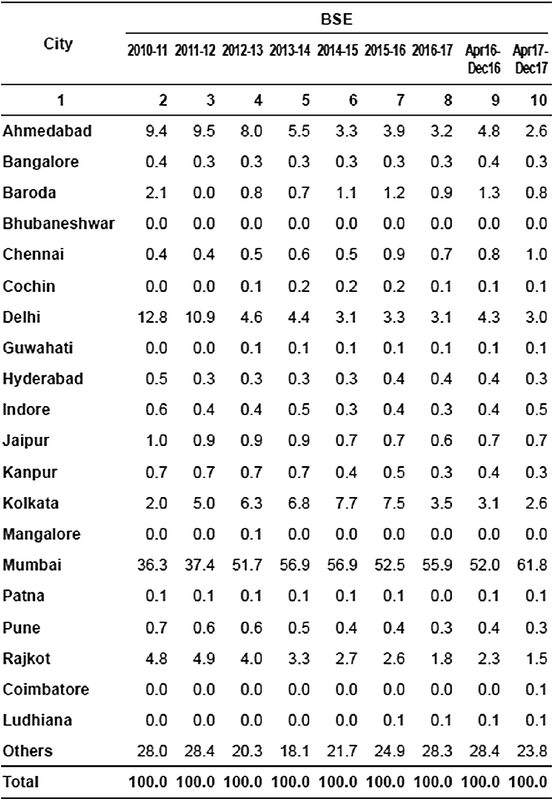 City-wise Distribution of Turnover of Equity Cash Segment at BSE (Percentage share in Turnover). 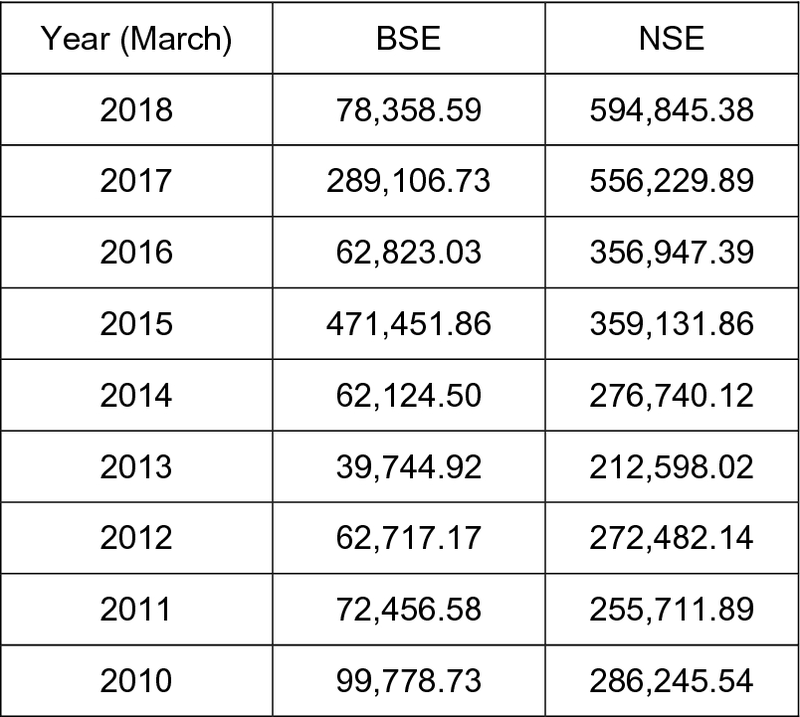 Average daily turnover comparison of BSE and NSE (crore rupees). 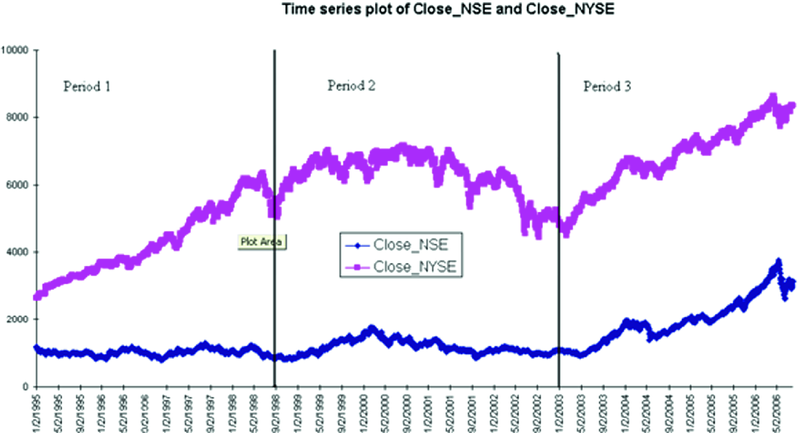 Time series plot of NSE and NYSE. 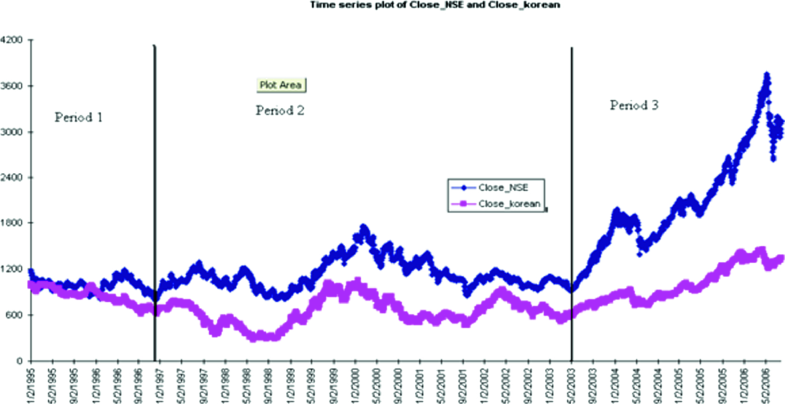 Time series plot of NSE and Korean Stock Exchange.